Vellum means different things to different customers. To most printers “vellum” is a finish of paper with a slight toothiness that can be on any color or weight of paper. However, to many graphic designers “vellum” refers specifically to a translucent paper, which has a vellum finish. Announcement Converters uses the term “vellum” to describe the finish of a paper and the term “translucent” to describe papers that are transparent. Dimensions 5 3/4" x 8"
The Boutique Vellum line is a house sheet of Announcement Converters. It yields unparalleled embossing and foil-stamping results and has been a hallmark of our social and wedding lines for years. 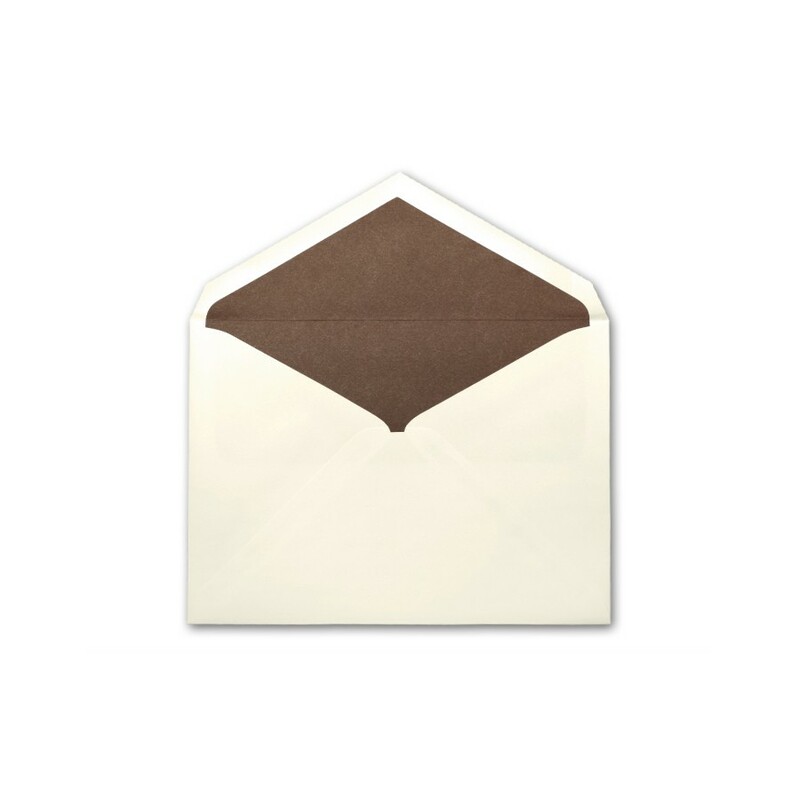 The Large 70# Text Boutique Vellum Ecru envelopes can be used in a multitude of applications. Boutique Vellum is manufactured in the USA. Boutique Vellum Ecru is also Acid Free. Boutique Vellum Ecru Large Matte Chocolate Lined 70# Text Envelopes Bulk Pack of 250 is a stocked product by Announcement Converters ready to ship the same day.